This entry was posted on September 26, 2011 by Paul. Posturite has been awarded the ISO 27001 international quality standard for our information security management system (ISMS). The award recognises our achievements in successfully managing all sensitive corporate information so that it remains secure and confidential while being readily available to those with the relevant rights. Information Systems & Software Manager Chris Jones said: “Information security is not just about anti-virus software, implementing the latest firewall or locking down our laptops or web servers. The overall approach to information security needs to be strategic as well as operational, and different security initiatives have to be prioritised, integrated and cross-referenced to ensure overall effectiveness. 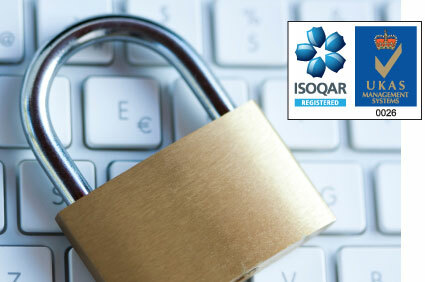 ISO 27001 is the third international quality standard we have been awarded. In 1999 we became ISO 9001 accredited which means that our management systems are constantly being stress tested, both internally and externally, to ensure they continue to meet customer requirements. Since then we have also gone on to gain ISO 14001 accreditation for the management of our environmental responsibilities. At the end of 2009 we were also awarded Investor in People status. This was a huge feather in the cap for our employees across the country, many of whom were interviewed by the Investor in People assessor. At the end of the lengthy report, the examining panel expressed their delight with the outcome. They wrote: "It is great to read of a strong, collaborative team, united and working with senior leaders to achieve clear goals and objectives in a supportive environment. Clearly a company to be proud of and one in which everyone wants to contribute to its success."